Home » Florida Estate Planning » Do It Yourself Living Trust in Florida ? Do It Yourself Living Trusts in Florida ? If you are considering writing your own living trust in the state of Florida, the issue may not be so much whether you can write the trust, but whether you should. While it is true that with the information available on the Internet, you might be able to draw up your own living trust, there are numerous valid reasons why you should have an experienced Ayo and Iken Florida estate attorney prepare your living trust. Like most legal issues, writing your own living trust opens you up to any number of situations you could not possibly have anticipated—but which your attorney would have known about. There are simply too many things that could potentially go wrong, which you may have no idea about. Making a serious mistake with your living trust could well end up costing you or your heirs much more than you saved in legal fees. Consider the story of the man in Virginia who set up his own living trust in 1984, via a form purchased at a local office supply store. The man recorded a deed to transfer his home into the trust, however when he added the date, he mistakenly dated it 1983—a year before the trust was actually created. Twenty-five years later, the man had paid off the mortgage on his home, and wanted to borrow against it. He planned to give his adult daughter $300,000 in cash to allow her to pay off her own home. It was at this point that the mistake in dates on the living trust reared its ugly head. The title company claimed the man did not have a clear title to his home due to the mistake, therefore he was denied the loan. Fixing the problems caused by one small mistake in a number, took weeks and more than $2,000 in legal fees—much more than the man would have paid in 1984 to have an attorney prepare his living trust. Most of us have seen the advertisements claiming simple, fast, easy, do-it-yourself living trust kits. Yet, one of the primary disadvantages to these kits is there is no personal advice which is specifically tailored to your situation and your individual needs. You want to include creditor protection for your beneficiaries. Since even the simplest will or living trust can be rendered invalid when the rules are not closely followed, even the execution of your living trust is crucial. If not properly executed and witnessed, according to Florida laws, the entire trust could be negated. Living trusts which are self-prepared are much more susceptible to being contested than a professionally drafted living trust. This is because self-prepared living trusts do not have the benefit of being legally reviewed for accuracy and validity. You also do not have the benefit of a legal professional verifying your capacity to sign the documents. Because one of the primary ways living trusts are contested is through allegations the person signing was incapacitated or under undue influence, even the most carefully prepared do-it-yourself living trust can be invalidated for any number of reasons. Yet another consideration in self-prepared living trusts revolves around taxes. Tax planning is an extremely complex job; attorneys who specialize in tax planning complete extra time in legal schooling. The average person has little knowledge of exactly how much money they will leave upon their death, and transfer methods such as life insurance beneficiary designations, IRAs and 401(k)s can result in problems when not legally and properly planned. There are a few instances which might make having a will which will go through probate preferable to the preparation of a living trust. One of those is if you have no person you trust enough to name as trustee. In this case you might choose to have your estate go through probate. If you have a large number of debt, probate provides a specific process for dealing with creditors which can be a benefit to an estate with significant debt. Probate allows creditors a specific time in which to make a claim on the estate, while outside of probate a claim could conceivably be made years after assets were distributed to beneficiaries. A simple will might be preferable if you intend to put restrictions on the assets left to loved ones, although this is a call an attorney should make. As an example, perhaps you want to give a nephew $15,000—but only if he goes to college. While you are allowed to put conditions on your gifts, you should definitely get legal assistance to do so. Finally, if you own virtually nothing, you might choose to have a simple will drawn up by your estate attorney rather than having a living trust prepared. Or, if all the assets you do have are shared with your spouse, and there are no other beneficiaries, a will could be sufficient. The primary reason many people have a living trust prepared on their behalf is to avoid probate. You may wonder why avoiding probate is so desirable. Probate is a court-supervised legal proceeding. Following your death, your assets are divided among your legal heirs. If you happened to leave a valid will, the court will follow your wishes to some extent. Probate is a lengthy process—in some cases it can take as long as two years, even when nobody contests the will. During this time, your chosen beneficiaries are unable to have access to any of the assets you left for them. Probate is a public process. Everything which happens in probate court is open to the public, so if you are not too keen on having everyone in your community have access to how your assets were distributed, then you might want to avoid probate. If you die with a legally binding will, the person you choose as executor will be required to file a court petition in order to begin the process. If you die without a will, the state will determine how your assets will be divided—a process which can cost as much as 7 percent of the entire estate. The primary way to avoid probate is through preparation of a living trust which lets you ensure your assets will go to whom you want, when you want. While the trust legally owns your assets, you retain control of those assets. Most people will name themselves as the trustee, which allows you to add or remove assets as you see fit. Once you die, the trust will distribute your assets according to your wishes, with no need to go through probate. A living trust can also help your beneficiaries avoid estate taxes, and, in the event you should become incapacitated, your living trust will allow a designated person to manage your assets. Any property not transferred through the living trust or through joint tenancy laws will go to the nearest relative if there is no will. Your property will be transferred into your living trust when it is set up. This can include real estate, business interests, stocks, bonds, bank accounts, antiques, vehicles, furniture, jewelry and art as well as any other type of valuable property you own. Upon your death, the trustee—the person appointed to handle your trust—will transfer ownership of your assets to your named beneficiaries. 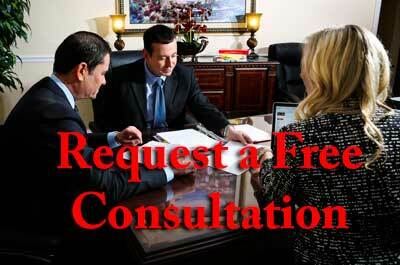 This process usually only takes a few weeks, and there are no court fees or attorney fees involved. The process is also private, meaning others cannot look up the details of your estate. At the point all the assets have been transferred to your beneficiaries, the living trust no longer exists. The person who creates a living trust maintains control of the trust until his or her death except in cases of incapacitation. Married couples who create a trust together generally name themselves as co-trustees, however a successor trustee is also named should both spouses die together. Most people will name their children as successor trustees unless they are not confident the children will distribute the assets according to their instructions. In such cases, a professional fiduciary can be named as a successor trustee, such as the trust department of a bank, a private fiduciary or a professional trust company. A living trust can essentially provide you with the peace of mind which comes from knowing your heirs, and your assets, are totally protected should you become incapacitated or die. Properly worded, a living trust can also be used in the same manner as a power of attorney document. A living trust can pass your assets immediately upon your death, or can designate that your assets be portioned out over time to your beneficiaries. Certain tax-savings clauses can be added to your living trust which may help reduce state and federal estate taxes. A living trust cannot protect the estate against a disgruntled heir; should you choose to cut someone out of receiving any of your assets following your death, a living trust can be challenged in the same manner as a will. Many people wonder whether they will be required to put a significant amount of money in a living trust when it is set up. Although there is a token dollar amount, it actually is not necessary to fund a living trust when it is created. You may choose to fund your trust with a single dollar, or with every asset you currently own. In some instances, a trust is actually funded upon the death of the person who creates the trust. Other people wonder whether it will be a huge hassle to add and delete assets, property or investments through the years once a living trust is created. In fact, you are not required to see your attorney each time your assets change, so long as the trust is properly created by a legal professional. The fees for having a living trust created can be as little as a few hundred dollars, or could cost up to several thousand, depending on the size and complexity of your assets. This could actually be a very small price to pay for the peace-of-mind you will gain knowing there will be no problems with your estate after your death. Perhaps the most important thing to remember is that estate planning is not a one-size-fits-all. There are very specific issues related to your estate and your beneficiaries. When you self-prepare a living trust or will, you are unlikely to have all the legal information you need at hand, and do-it-yourself-kits for living trusts will only ask the most generic questions. That is why we can provide valuable help to assist you in planning. An Ayo and Iken estate planning attorney will give you trusted advice you can count on during arrangements involving this very sensitive subject.